Submersible Pumps For Sale | GeoForm International Inc.
Our vertical pumps are manufactured with the same expertise as our slurry and dredge pumps. They differ slightly in construction and purpose. 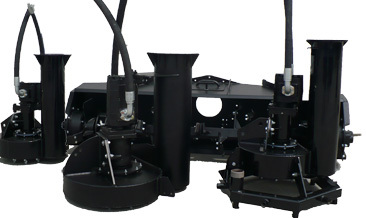 These pumps are manufactured for use anywhere large quantities of fluid need to be moved. Available in a variety of sizes from 4″ to 14″ and produced to specific TDH requirements, to be extremely efficient during operation. 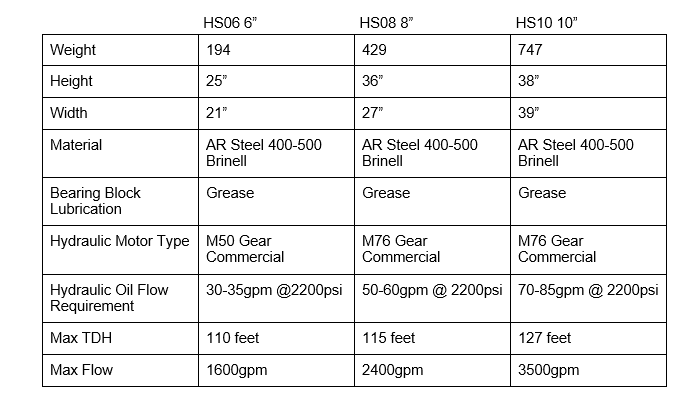 We can provide you hydraulic powered pumps to meet your specific need. Used anywhere large atmospheric centrifugal pumps and electric submersed pumps would be used inefficiently. 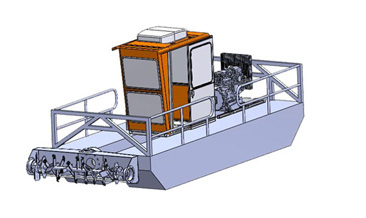 Applications for this equipment are limitless; agricultural, municipal, corps of engineers, flood control, contractors, dept. natural resources, fish farms, mines, gravel and sand pits, waste lagoons, cranberry farms, rice farms. 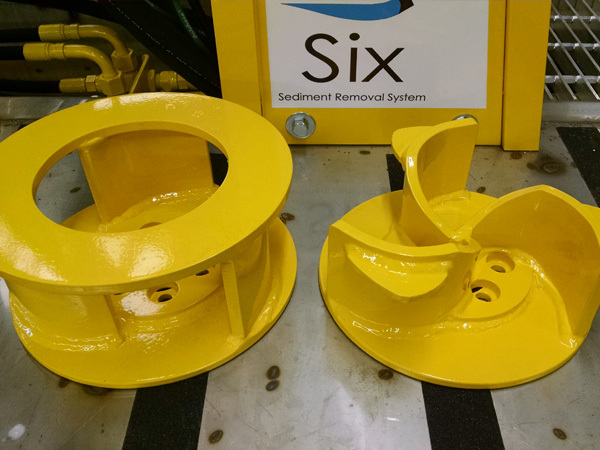 Our submersible pumps power our made in the USA product line including the Dino6 dredge, our aerators, the Dino8 dredge and our sewage digester system. We offer PTO driven submersible pumps for those with a PTO power source, but generally provide a power source for our pump line. Our hydraulic submersible pumps handle trash and debris extremely well and use abrasion resistant materials. The pump flows up to 3800 gpm. Although most of our pump line consists of diesel powered submersible pumps, we do offer options to accomodate those who prefer to use their PTO driven power source for their pump. Dino Pumps are not limited by a suction line which makes them ideally suited for Sewer By-Pass and Sludge Pumping. 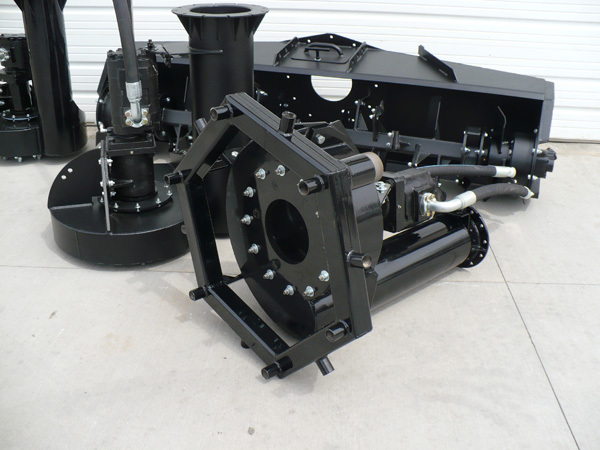 Rugged yet lightweight, they are able to handle large amounts of trash, thick viscous sludge, and abrasive materials. 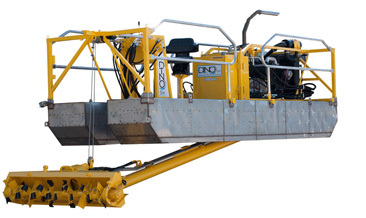 The Dino Pump is not damaged by rocks or other hard debris and able to pass weeds, pieces of rope and rag type materials. Using a combination of abrasion resistant steel we cut, cold form, fit and weld our pumps and components in-house.